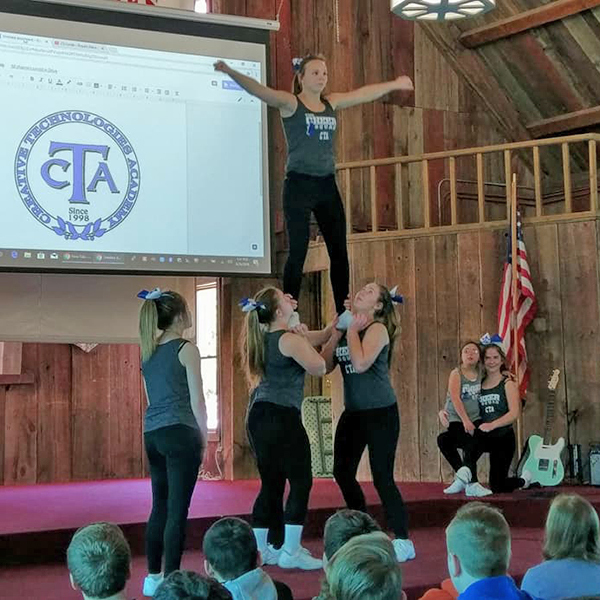 Tag Archive | "Voices of Lightning"
The CTA Cheer Team performed a routine with fantastic stunts! 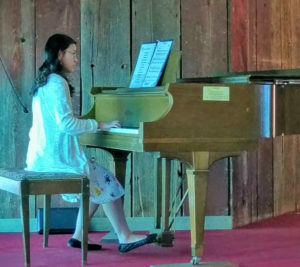 Junior Jillian Evink performed a piano solo. 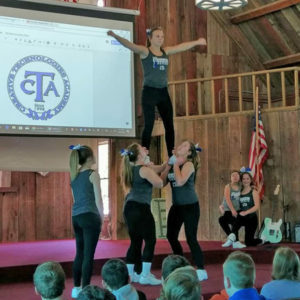 This years CTA talent show featured the cheerleading team and 11 students ranging from 2nd to 12th grade who took to the stage to share their talents. Student performances included writing and singing of an original song about being optimistic, playing the piano, beatboxing, guitar solo, several students showcasing their vocal talents and the Voices of Lightning all-ladies acapella group. The entire show was performed twice in order to allow the entire student body and families to attend. It was a great day to be a Charger as we celebrated and showcased our students!